Simply having a wonderful Christmas time – with your pet. For some families, pets are an integral family member and are often included in the gifting of presents at Christmas. But there’s more to looking out for your pet over the festive season than giving them a gift wrapped squeaky toy chicken. 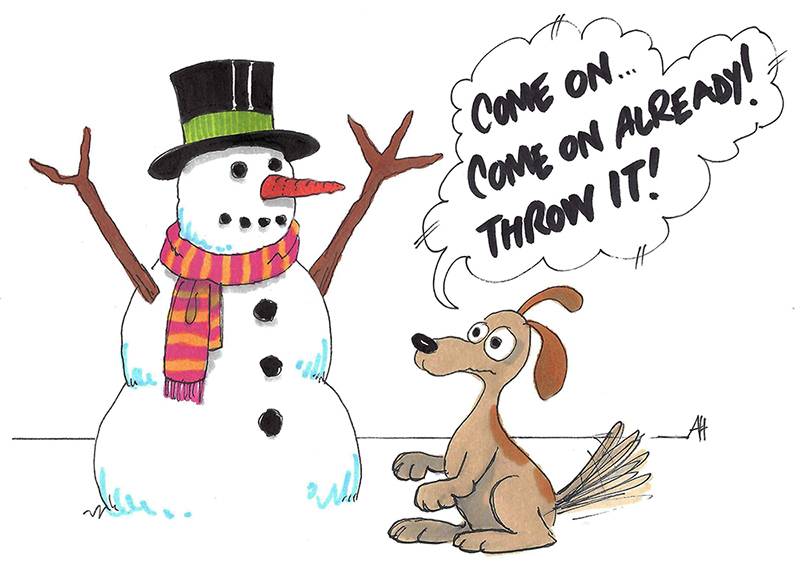 Christmas can be scary for animals so here’s a few common sense tips to ensure your pets have as much fun as the rest of the family this festive period. Real Christmas trees are mildly toxic to some animals and the oils can be an irritant. If you have a pet, artificial trees might be a better choice. Be aware these can still harm your pets if they are ‘chewers’ though. Think about buying a smaller tree and raising it off the floor. We acknowledge trees and decorations can be spikey for small children but they can be a hazard for pets too. Needles can get stuck in claws and throats and decorations can look very tempting to chew on, which if made of glass or hard plastic, could possibly shatter. Electrical cords and lights may cause a chewing and tangling hazard for pets too. Be sure to shut your pets away from trees (artificial or real) and decorations while you are out of the house. Mistletoe and holly are both poisonous and should be kept out of the way of both pets and children. If you’re going away for any length of time over the holiday period, don’t leave pets home alone. Find kennels and catteries in your area, ask neighbours to drop in every once in a while or take your pets with you. If you take your pets with you then make sure you have enough food and water for the journey and schedule in plenty of breaks. Lots of ‘human’ food is very bad for pets so don’t be tempted to share your Christmas dinner with them. No matter how much they use the imploring, sad eyes technique. Treat your pets by giving them pet-specific treats and maybe a new toy. After all, it is the giving season. Never feed your pet poultry carcasses as the bones may split once swallowed and keep them away from things we would consider treats – especially chocolate and grapes (and also raisins and sultanas) which can be poisonous. Onions and garlic are poisonous too. They will be more than happy with their own treats. Pets do not make good Christmas presents so please don’t be tempted. It is a disruptive time of the year with much noise and lots of people and if you have medical issues it can be difficult to find a vet to help. If your child is eager for a pet then get them a book for Christmas on caring for one; and then think about getting the pet once all the decorations are put away for the year. It can be fun to give your pet its own gifts and a stocking for Christmas, but do make sure you buy them from a pet shop or vet, and that your toy or treat is designed specifically for your pet. Think about the amount of visitors you are expecting – cats and dogs can get very upset with lots of people coming in and out of the house. Provide them a quiet area where they can get peace and quiet and be surrounded by familiar things, and make sure they have access to water. Fireworks at New Year can also be very upsetting for cats and dogs so make sure you walk dogs early in the day and shut cats in for the night. You can purchase special suits for your dog to wear which provide a constant pressure. It has a dramatic calming effect for most dogs if they are anxious, fearful or over-excited. The use of Sound CDs is also a successful, proven technique for the treatment and prevention of sound phobias in dogs. Playing music can help sooth your pets too. Just don’t put ‘Jingle Bells’ on an endless loop! The little world of Dwarf hamsters. Pet Bliss: You can trust us…we have a front door. Becoming the leader of the pack – Five basic commands you need to teach your dog.